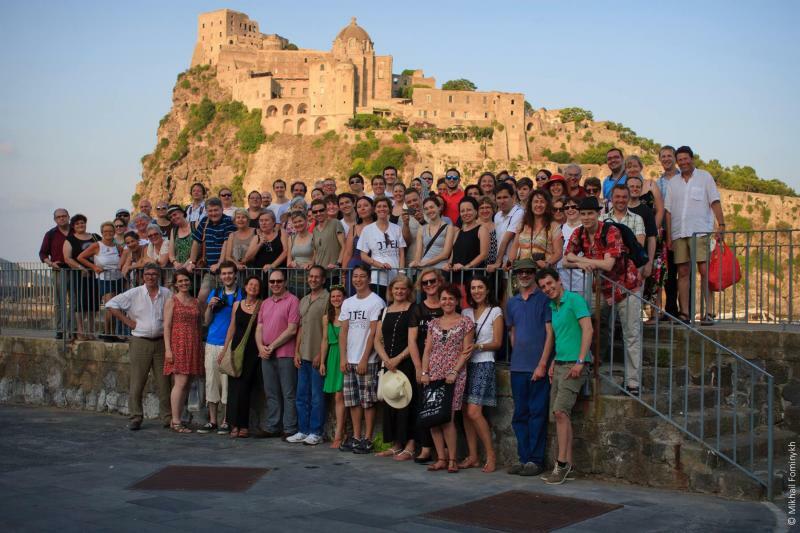 Representatives from the European projects weSPOT and Go-Lab organised and delivered a joint hands-on workshop at the JTEL summer school, which took place last week in Ischia, Italy. The workshop was entitled “Inquiry-Based Learning with Online Labs and Mobile Apps” and allowed participants to experiment with the inquiry toolkits developed by the weSPOT and Go-Lab projects in order to perform scientific inquiries collaboratively using virtual labs and dedicated mobile apps. weSPOT was represented by Alexander Mikroyannidis (KMi) and Go-Lab by Denis Gillet (EPFL), Sten Govaerts (EPFL) and Yiwei Cao (IMC). This workshop has built on the successful collaboration between the two projects, which was initiated in last year’s JTEL summer school. During that event, a first step towards the technical integration of the toolkits offered by the two projects was achieved. This year’s joint workshop strengthened this collaboration and presented the outcomes of both projects in a pedagogical and technological way. The JTEL summer school (Joint European Summer School on Technology Enhanced Learning) is an annual event for PhD students working on topics from a broad range of domains, which contribute to advancing the field of Technology Enhanced Learning. This year, the JTEL summer school was co-located with the EMMA summer school on MOOC Design.